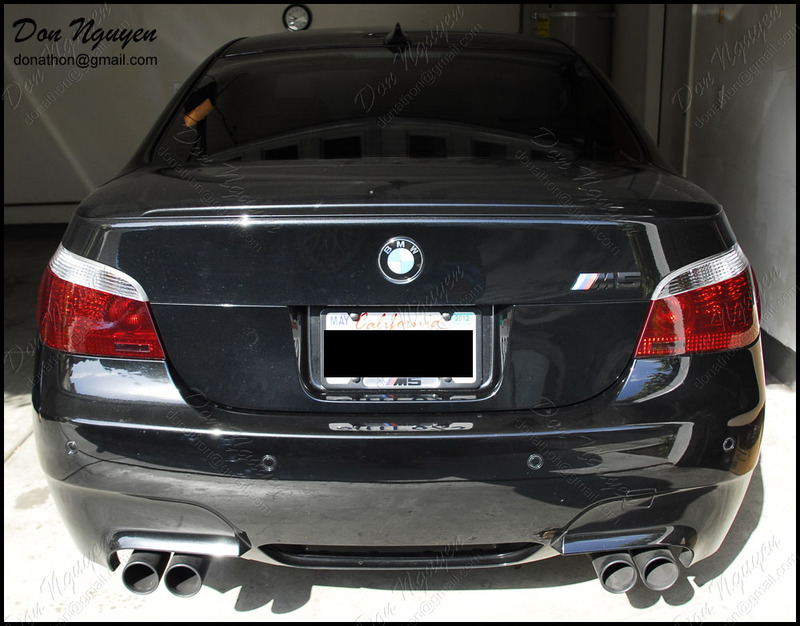 Here's pictures of a black BMW E60 M5's tail lights and head lights that I tinted/smoked with my vinyl film material. I tinted only the red portion on the rear tail lights and for the front headlights, I tinted the turn signal chrome reflector top portion only, to bring the brightness of the chrome down a bit. He was actually around in Orange County, around Lake Forest in south Orange County.